Things, places, animals, and shapes are gathered together to form a heart. Pounding Mill Press will work with you to create a design that is meaningful and personal. The top layer of the card is cut to reveal the color of the bottom layer. The reverse is printed with save-the-date information. 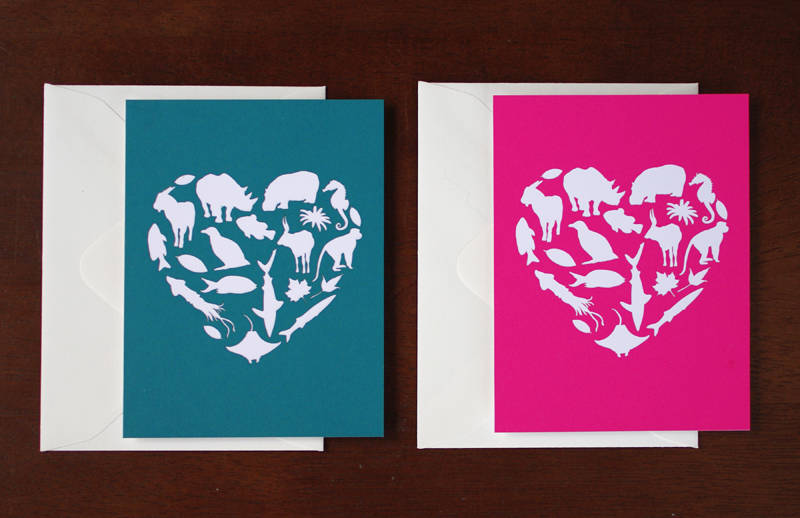 Each set includes a card and an A2 envelope.